Diane joined the Advocacy Learning Center team in December 2012, after more than 20 years in the movement to end violence against women. She has been an advocate, activist and educator working and volunteering for battered women. 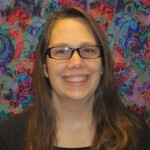 Diane’s education focused on feminist/anti-oppression pedagogy. She has conducted research based in media literacy and feminist action research, including an analysis of news coverage of violence against women and a critique of online sexual violence prevention messages. Diane spends her free time exploring the Twin Cities, hiking, writing, and reading. For the last 13 years, Diane coordinated a campus sexual assault program in Toledo, Ohio. She provided individual advocacy to survivors of sexual and domestic violence, stalking and sexual harassment and worked on systems change to improve the institutional response to survivors. Diane’s work as an educator has reached thousands of people, including health care providers, teachers, counselors, social workers, and students from middle school through graduate school. Diane was part of a group of women that created a violence against women memorial in Toledo, Ohio. Donations from community members funded the memorial rock, located on the front lawn of a community library. The memorial was designed as a site to honor survivors of violence against women and remember women murdered. Vigils are held at the rock each time there is a domestic violence murder in the area.